With last week's raid on the records of Michael Cohen, U.S. President Donald Trump's personal lawyer, there is heightened speculation about the possibility of indicting or impeaching the president. There's also much to consider about Trump's own options as he's openly contemplated the idea of striking first. He could fire U.S. special counsel Robert Mueller, who is heading the investigation into Russia's involvement in the 2016 presidential election, or deputy attorney general Rod Rosenstein, who oversees the probe. Either scenario could lead to a constitutional crisis, said Robert Bothwell, a professor of history and international relations in the Faculty of Arts & Science and the Munk School of Global Affairs. There are constitutional questions about whether a sitting president can be indicted. Nor is it clear whether Trump could actually have Mueller fired. Bothwell said there would first need to be a change in public opinion or the “defections” of about two dozen congressional Republicans. Do you think we’re close to a Trump indictment? Mueller has been very cautious. The question is: Who is next to be indicted. 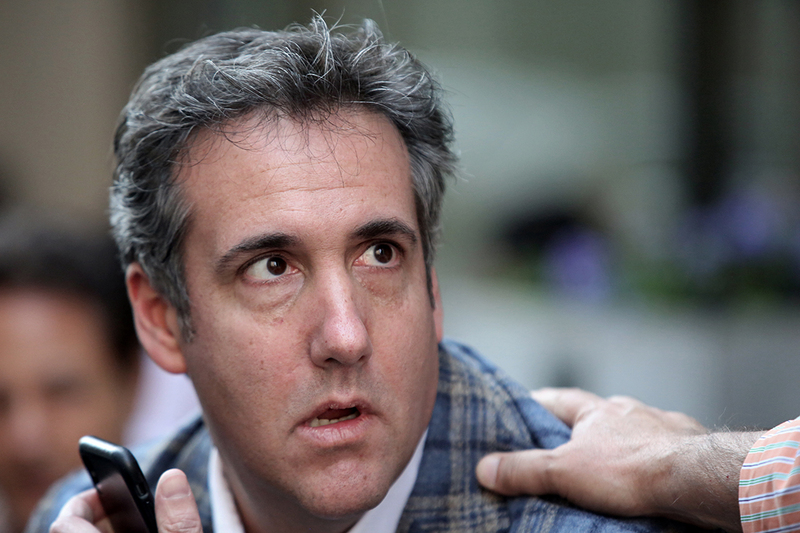 If it’s the lawyer, Michael Cohen, that would be remarkably quick work, but they may have been preparing for this long in advance of last week’s raid on him. If it’s the president, or really anybody very important, Rosenstein has to sign off on it. There would then be a constitutional crisis. Or, Trump fires Mueller. That probably, but not as certainly, would also produce a constitutional crisis. At least that’s what the opposition keeps saying. For it to happen, there would have to be some defections among the congressional Republicans, or a really big change in public opinion. It would have to be enough to move Trump’s enablers among the congressional Republicans. We are looking at a minimum of 25 defections. The crisis would probably hinge on the question of whether the president is above the law, i.e. cannot be indicted but only impeached. U.S. constitutionalists are split on the issue, so the effect would be a prolonged argument taking much time, while an urgent crisis bubbles. Either action deepens the case for obstruction of justice, and both raise the question of whether the president is above the law. The framers of the constitution left only one way of expelling the president from office – impeachment – and the question is: Does that provision absolve him from the ordinary workings of the law while he's in office? (Gerald Ford’s pardon of Richard Nixon in 1974 prevented an actual prosecution in the regular courts, so there does not seem to be any doubt that the president can be criminally liable after leaving office – one reason, perhaps, why Trump would want to stay in the White House as long as possible.) So, is the president above the law or exempt from the law while in office? My educated guess is that at some point Trump will get out of control. He will panic, and do something counter-productive. Let’s say Cohen is indicted – that might do it. He was pretty close last week after the raid on Cohen. So if we have a raving Trump out in public, even the shameless Republicans in Congress might reflect that this is not what they want from a U.S. president. Even the pointless – but showy – air raid on Syria, with plenty of advance notice to the Russians so they could have the Assadists move their chemical production ingredients, evoked cries of “wag the dog,” and soon it will be common opinion that Trump talks big but does little, and that his foreign policy shows are just that – show. Along with Trump firing Mueller there's also speculation he may fire Rod Rosenstein or Attorney General Jeff Sessions. What is the likelihood of that versus firing Mueller? That’s more of a question for a psychologist than a historian. Trump’s original firing of [former FBI director James] Comey in 2017 seems to me both impulsive and fearful. And it had disastrous results for Trump. So since then he has been held back by the fear that a similar action might blow up in his face. The trouble is if a greater fear comes along. The evidence is, Trump does seem to be strongly motivated by fear of “some” things. One of those things is the “salacious” parts of the famous dossier [of Christopher Steele, the former British spy who raised the possibility that Trump may be vulnerable to Kremlin blackmail], to which he returned several times in his conversations with Comey – is that connected to his unvarying deference to Putin? What has he got to hide? Can you explain why Trump would be more worried about the Cohen investigation than the Mueller one? This raises the fear question again. Cohen seems to have had tapes and files. With tapes, Trump may be on them. With files, might they not bear on Trump’s financial involvement with Russia or Russians? And then there is Cohen’s putative trip to Prague. If that actually occurred, and there seems to be some evidence that it did, it would confirm an important assertion in the dossier of Christopher Steele, who asserts that Putin has or very likely has compromising information on Trump.